Suntech City Singapore was once again swarmed by International startups exhibiting to more than 5000 attendees with 4 Stages hosting inspiring and talented speakers from all over the world. This years Tech in Asia conference was the best one yet. We wanted to share some of the highlights from our experiences at this TechInAsia sponsored event. We hope you will join us next year in Singapore to make it even better. 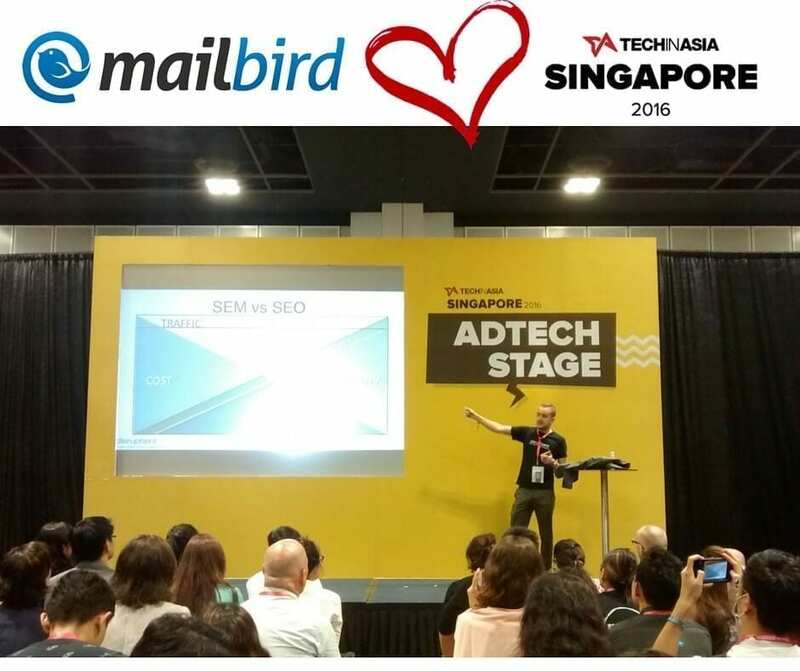 The absolute BEST part for the Mailbird team about this conference was the immediate and direct feedback from existing and potential users. It’s true that we get feedback on a daily basis ( especially on our social channels ), but being there right next to a user and watching them falling in love with your app is a whole different story. The on-site feedback was not only a great source of compliments – it also really helped us in creating effective marketing messages.  Thanks to this over-the-shoulder experience with so many amazing tech influencers, we found out what exactly it is that amazes most of Mailbird’s users, what triggered most of their questions, and what they felt needed improvement or clarification. One unintended side effect of our participation at Tech in Asia was the increased motivation that our entire team received thanks to so much one-on-one interaction with our users. 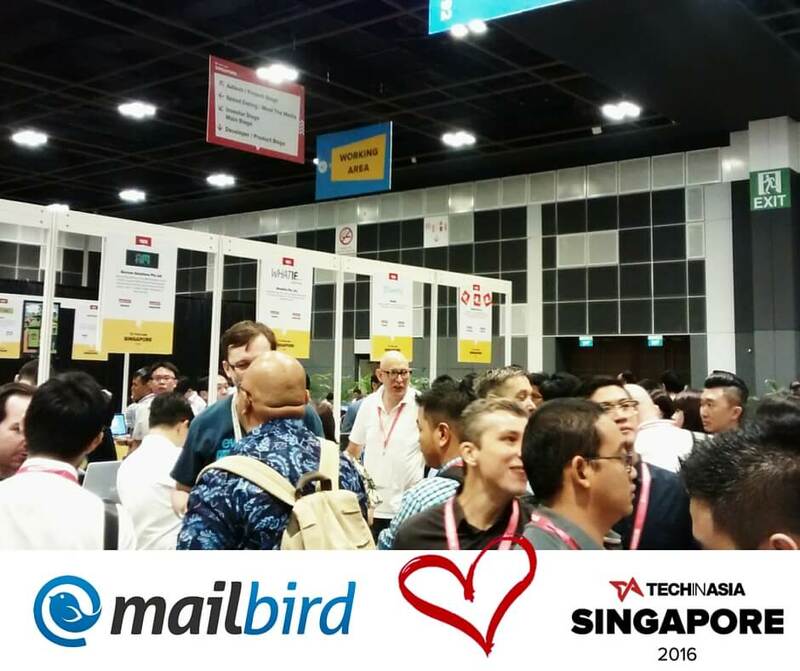 Witnessing over and over again how people enjoyed their experiences with Mailbird at the conference, and being there to discuss with them exactly how well it helps them overcome issues they experience with other clients really helped solidify Mailbird’s need in the market, and only strengthened our resolve to continue building it into the best email client, period. Despite a queuing time of 1.5h+ most of the attendees remained eager to reserve one of the highly desired spots to pitch their startup to investors. Some investors wanted follow up meetings, some of them didn’t. Nevertheless, this was a great opportunity for us to practice our elevator pitch and receive valuable feedback from the investors on our goals, plans, ideas etc. Guests, that weren’t eligible to register for the speed dating still enjoyed enough chances to talk to investors visiting the conference. It was a welcome surprise to see how open and friendly investors were to visitors approaching them unannounced. We want your feedback: What tips do you have for a breath-taking elevator pitch or how approaching investors the best way. Breaking through the noise at a conference such as Tech In Asia is difficult … but not impossible. This is particularly true at Tech in Asia, as rules prohibit most traditional forms of marketing strategies including decorations or props. In addition, any kind of banners, signs, or other (branded) equipment was strictly prohibited by the organizers forcing startups to get creative. Braintree (a PayPal company) handed out free coffee, for example. At a conference like this, coffee is sometimes more valuable than water. A HUGE “Thank you!” to the team again:-)! Nobody will ever forget the name Braintree, that is for sure. 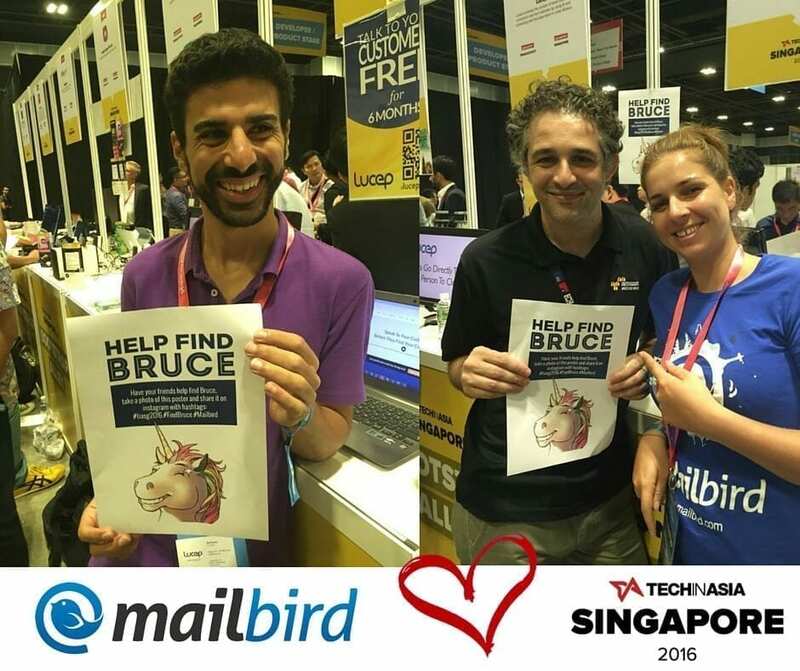 Team Mailbird got everyone at the event participating in it’s own promotion involving their beloved Mascot-Unicorn Bruce. Bruce went missing and could only be discovered by going to the Mailbird website & by sharing pictures with the “Missing” poster on the attendees social channels. Let us know: What was the most fun marketing initiative that you have ever seen on a conference? Let us know in the comment section below. Where, When, and what happened was announced via the Tech in Asia App. 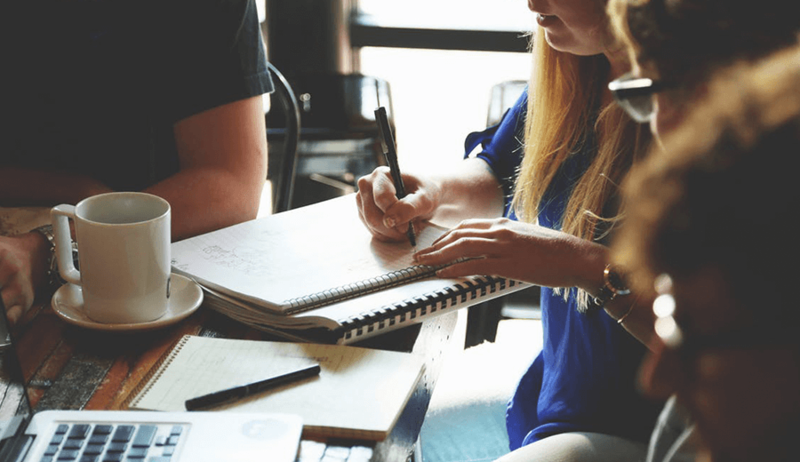 In general, we would recommend every startup to join a conference like Tech in Asia Singapore, Jakarta or Bangelor at least once in their ‘startup life’. You might not make alot of sales, or get a ton more users. That’s not what Tech in Asia is about. 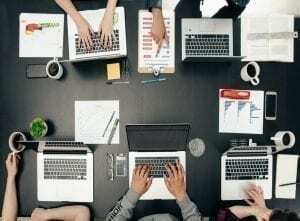 Rather, they are about getting first hand feedback on your product by experts, potential investors and partners etc. If that sounds good to you, then we suggest you sign up for next event closest to you. You won’t regret it. 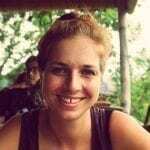 Did you attend the Tech in Asia Singapore conference or a similar event ? What was your impression? What awesome or bad experience did you have?